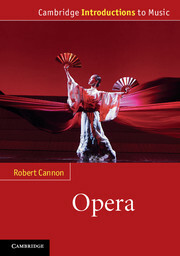 In an exclusive interview with author, Robert Cannon, he talks of his inspiration in writing his latest book, ‘Opera’, and creating the first ever degree course in Opera Studies. You created the first degree course in Opera Studies to develop and enhance appreciation of opera. What did you find were the greatest challenges in doing so? The main problem was to define the real subject in the context of degree-level study. There was no dedicated degree in opera and when opera modules did appear at degree level it was almost always treated as a subsection of purely musical composition. This usually meant that it was analysed from a (technical) musical point of view which skewed opera’s essential nature as a dramatic form. I had to find a way of refocusing the study of the subject, in a way that would incorporate music, of course, but with its centre on how opera as a whole (including the music) works as drama. This involved using many aspects of dramatic analysis that had been developed in (relatively new) theatre studies departments. Ironically, having done this, the next stage was to find ways of teaching the degree so that serious opera lovers, who might not be musically literate, would be able to acquire enough musical knowledge to be able to respond analytically to the purely musical elements where necessary. Finally, there was the choice of which material – operas and composers – would form the essential core, and which might be optional. Obviously not every major opera – or even composer – could be included. Despite this there had to be a way of ensuring a pretty inclusive sense of chronology as well as an awareness of the achievement of the major, formative composers. At the same time, while some composers – Mozart, Verdi, Wagner – needed to have whole modules devoted to them, others needed to be studied as part of larger groups – as parts of movements. In some cases cultural phenomena rather than individual composers would have to be the focus. This approach informed the structure of the degree as well as my later opera courses and this book. Are you still teaching now? Yes. For the last twelve years I have run my own series of year-long lecture courses, including one on opera and another on theatre. Whatever the subject, a major emphasis is on the interrelationship between the different arts within their cultural and political context. I also run two seminars on Moral and Political Philosophy and The aesthetics of poetry. What inspired you to write ‘Opera’? The need for a book that would enable students and opera-goers to understand the different ways in which different operas work – and as a result how an audience is expected to work differently too. Without a clear way of approaching each composer – each opera – on its own terms, the experience becomes both generalised and very passive. I hope that this book will enable audiences to engage far more actively with the opera and its production. In my study – but I always have a notebook and pencil with me and I love writing in odd places as ideas suddenly gel. [I have never done this – I assumed it referred to something towards the end of Act II of Siegfried]. Because I am lucky enough to work in London I have been able to use three marvellous collections/libraries: The Victoria Library in Westminster, the Barbican Library and the library of the Royal College of Music. Word processor – and pencil. Do you have a top five Operas? If so, what are they? What is on your ‘Desert Island’ playlist? Which composer, past or present, would you most like to meet? Books are more difficult to choose. I constantly use Grove – both Opera and the Music and Musicians (I find it always most informative to see a composer’s work in the wider context of their compositions). I find Joseph Kerman’s ‘Opera as Drama’ (University of California Press, 2005) most stimulating – provocative and irritating. ‘Opera in Context’ edited by Mark Radice (Amadeus Press, 2003) is a constant source of important information that illuminates my thinking about operas. David R B Kimbell’s ‘Italian Opera’ (Cambridge University Press, 1994) is an excellent book in its own right and a model for how to approach any area of opera. Yes: a similar book on Theatre; a theatre study of W S Gilbert; a study of the plays of the major nineteenth century English poets; a book on Robert Browning as pre-modernist. Robert Cannon is the author of ‘Opera’ (out now). He is an independent music critic and writer and runs dedicated courses on opera and theatre. He designed and created the first Degree in Opera Studies, which is offered as Distance Learning by Rose Bruford College and is validated by the University of Manchester.